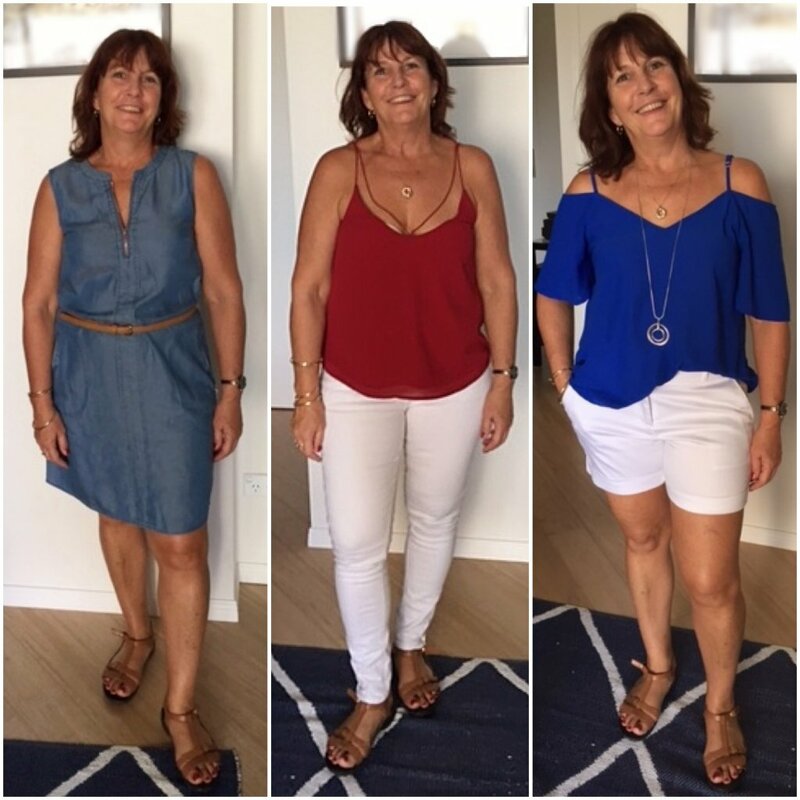 I wanted to create “My Style” blending my existing wardrobe with some new classic pieces to create a stylish wardrobe suitable for work, play and my coastal lifestyle. Having Kate come to my home to view my existing wardrobe gave me the confidence that my choices to date had not been completely wrong and therefore it was more a lesson in how to combine and vary my existing outfits and creating a “shopping List” of essentials and key pieces to purchase to give me an entire range of options and accessories for any occasion. Kate’s relaxed approach made the experience very easy – and her advice on mixing and matching items was fantastic. I would have to say that the shopping trip was the BEST EVER shopping day I have experienced – and we came in under budget! With all items on the list sourced by Kate prior to our meeting, it was simply a case of moving from shop to shop with list in hand and trying on outfits. Initially I just tried on outfits with a view to come back later in the day just to check what was available. After the first couple of shops the credit card appeared and we shopped on and then returned to make the final purchases from the starting point. A couple of items have been put on hold until a future date – but knowing now where to look now is a great benefit and will make it a lot easier. Kate also took me to shops that I had never been to before so now I’ll keep those in mind for the future. The whole experience was fantastic and I would highly recommend Kate’s services to anyone. 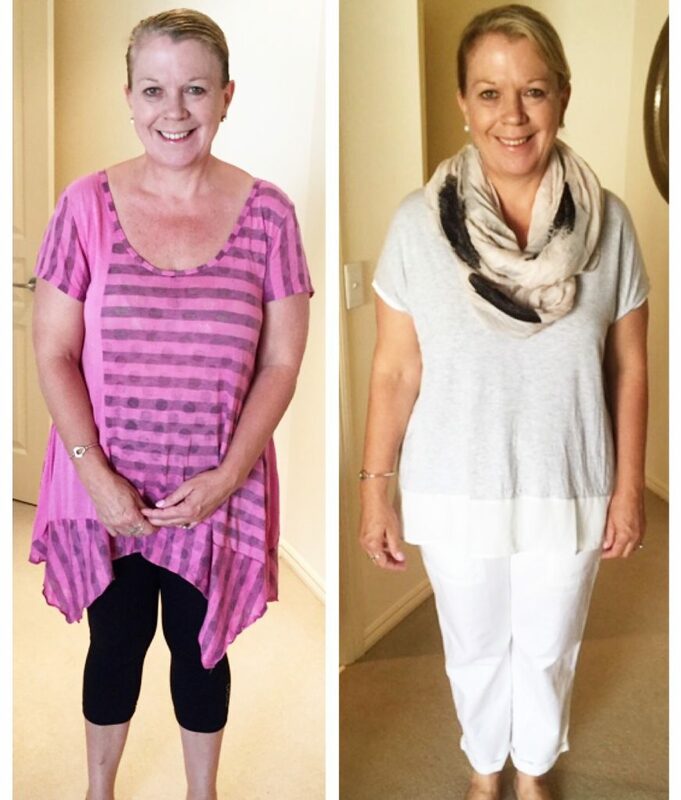 The experience has boosted my self confidence and belief in a style that suits me and my lifestyle. I could never find an outfit to wear, especially in the morning. Although I had clothes in the wardrobe, I generally just wore the same top with the same bottom and never changed the look. Kate explained to me that I do have the appropriate clothes in the wardrobe but I just didn’t know how to put them together. Kate provided professional and honest advice in a friendly manner. Kate has dramatically increased my confidence levels in terms of being comfortable with my clothing choices and general looks. Kate is honest. Not everything we tried together worked however I can now use my entire wardrobe rather than just a small part of it. The experience on a whole was refreshing, enjoyable and fulfilling. I would definitely recommend Kate to all my family and friends and anyone that asks about my ‘apparent new wardrobe’. I contacted Kate because I wanted to know how to get the most out of my wardrobe. Even though I have a lot of clothes, I wasn’t coordinating well and always felt I had nothing to wear. My problems were solved by Kate looking at my whole wardrobe and showing me other options that I had not thought of. Kate then took photos of my outfits and different options that I could mix and match and make them look casual by changing shoes or more formal by adding high heels and scarves etc. Kate’s approach was very professional but friendly. It was a very enjoyable process and I learnt a great deal. I actually enjoy looking at fashion more now. The experience was more than I expected and especially the shopping day, which filled in the gaps I had in my wardrobe. The photo record of all my outfits that Kate sent me is also very helpful, something I will refer to regularly. I would recommend this experience to anybody who wants to get the most out of their wardrobe, be up to date with colour and style, know how your body shape affects what outfits you should wear to flatter your appearance and most of all feel good about yourself. 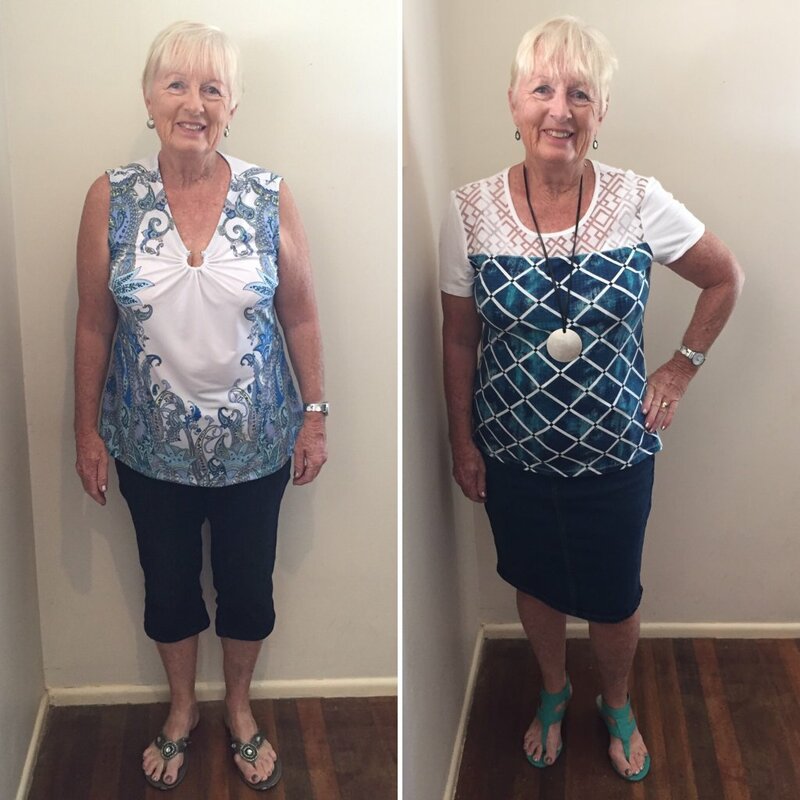 I wanted to learn how clothes look and feel when worn fitting well, as during the last 18 months I have transitioned from wearing clothes that were too small to now too big. I needed to buy new stylish basics to incorporate with my current limited wardrobe. I also wanted to learn how to ‘mix n match’ clothes and accessories to maximise the number of looks from the same wardrobe, along with injecting some colour into my rather grey wardrobe. 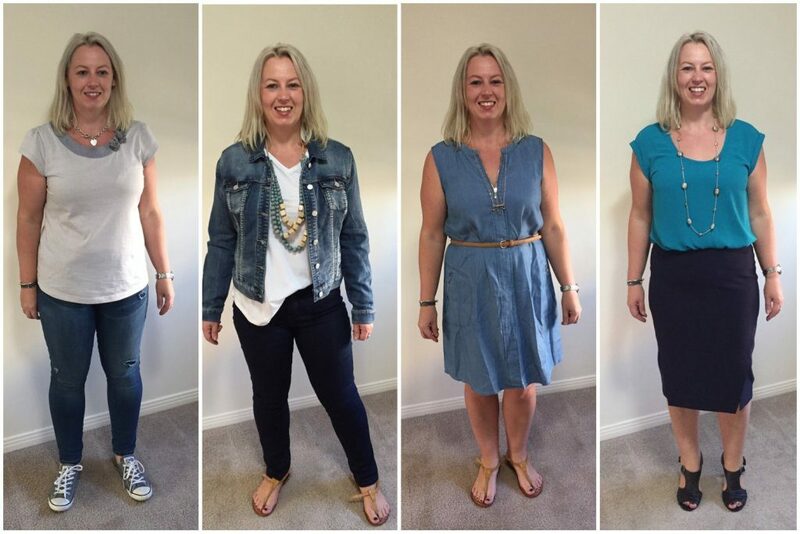 Kate helped me solve my wardrobe issues by looking at my current wardrobe, providing advice on how clothes should fit, increased my confidence with clothing by trying on different colours and styles. I even bought a skirt! A number of classic pieces were purchased within budget with Kate’s advice and fabulous knowledge of the variety of shops, quality and brands. The research that was completed prior to our shopping day was invaluable to a smooth, efficient and productive shopping day. Kate’s relaxed, friendly and professional and client focused approach made the experience a fun, easy and productive day. Kate was always looking and listening to understand what I liked and when I wasn’t sure. The whole experience was fantastic, a great learning experience and great feeling at the end of the day to be returning home with a new skirt and many other classic pieces with the knowledge of how to ‘mix n match’ and how to shop in future. I also visited new shops that I had not previously discovered. Kate’s previous research and shopping list made it a smooth, efficient, stress-free process. I would highly recommend Kate’s styling services to anyone. I now have the confidence to shop well and I look forward with excitement to coordinating and wearing my outfits.